Do you guys remember Chino in the Mission? The neon-adorned, psychedelic Pan Asian food with tongue-in-cheek tea cocktails, boba slushies, and hot wings? We wrote about it here and for Eater. Night and day, right? 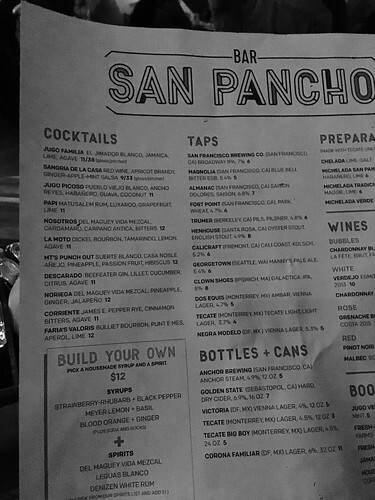 The new place is still run by the Tacolicious owners, but the revamped concept is called Bar San Pancho, which resembles something like a fancy sports bar. 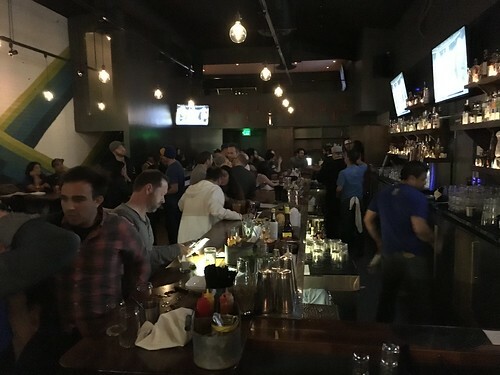 Chino's bright colors and throwback 90s decor has taken a complete 180, brought down with black accent walls, big TVs playing sports, and a string of muscular guy bartenders who have chosen baseball caps and blue t-shirts over mustaches, suspenders, and button downs. 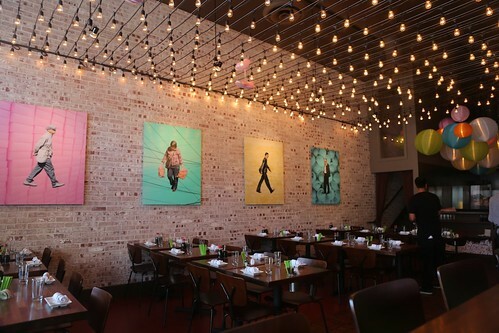 They've swapped out the Pan Asian fare for rich plates of Mexican-style food served at tall tables. The bar staff pounds out unfussy, easy-to-drink cocktails punctuated with punches of fresh fruit juices. 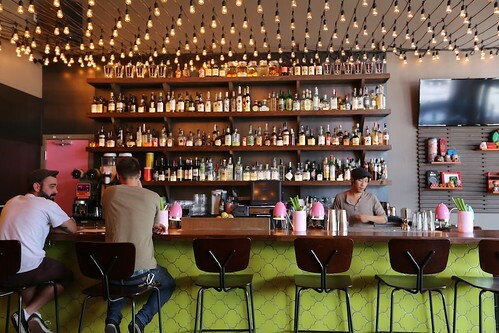 For $12, you can also build your own drink; choose from a list of three fresh syrups (strawberry-rhubbarb + black pepper, meyer lemon + basil, or blood orange + ginger) and three venerable spirits (Del Maguey Vida mezcal, Leguas blanco, or Denizen white rum). Served with soda and ice.